life, light, and style into a room. Want to know how you can use it in your own home? Let’s look at 9 easy ways you can make custom living room mirrors work for you. about is position, position, position. Hang a living room mirror on the opposite wall from a window. The mirror will catch that natural light and reflect it back into the room. The added brightness will almost feel like you have a second window in the space. the living room, even reflecting life into those dark corners. Sometimes all you need to do is think outside the box. Even when it comes to decorating with mirrors. gives the room more softness. the most versatile mirrors you could have. Decorating with mirrors is about more than a reflective surface, it’s about reflecting your personality as well. you want with lettered mirrors. 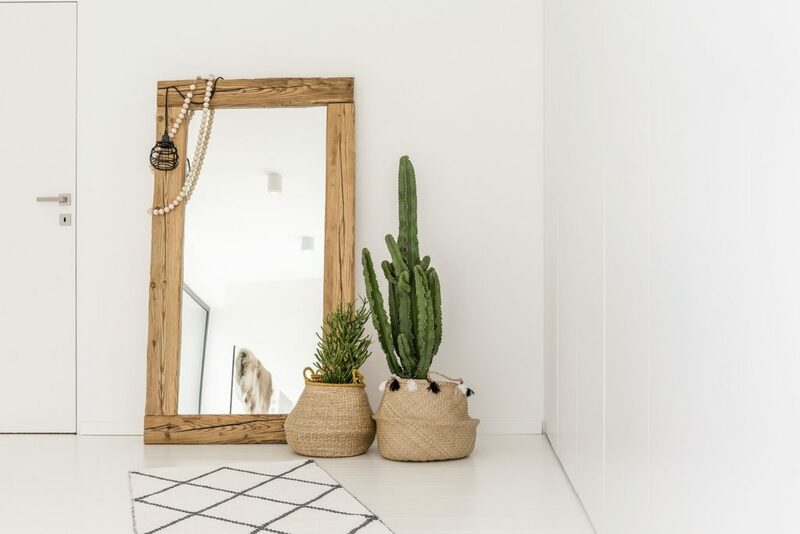 The sky is the limit on what you can do with mirrors, so use them in unexpected ways to showcase your unique personality. Living room mirrors not only brighten up the space, but it can also make it feel bigger as well. And that’s good news if you’re working with tight quarters. the room and give the illusion that the room continues on. drama to your decor, you can’t go wrong with an over-sized mirror. way to anchor the couch in a room. piece while also being a functional piece of furniture. Have your living room mirror work double-duty for you, by becoming a mirror and shelf in one. color. Then simply add your mirror to the inside of the frame. your keys. Or even set up as a bathroom mirror. Like all things that sparkle? Mirrors work great when you’re going for a glam living room style. design looks like mirrored jewels. Either way, the mirrored frame will pick up light in a unique way, looking like it sparkles. floor, on a shelf, or a side table. To mix things up a bit, try including a framed mirror into the group. complimenting contrast to the other framed pieces in the group. all by choosing the correct size. But for a more dramatic look, go with an over-sized mirror instead. Even consider a mantle to ceiling sized mirror. It gives your living room that same lift and depth, but in a more modern style. Ready to put a custom mirror in your home? Contact us today! We’d love to discuss your project with you.